Dr Shakardokht Jafari an alumna of SETsquared’s ICURe programme and SETsquared Bristol member Becky Sage have both been recognised at Innovate UK’s Women in Innovation Awards 2016. The pair were amongst fifteen women honoured in total and each will receive a £50,000 prize and a tailored business support package. They will also receive mentoring from Innovate UK’s list of well-known business leaders, including Facebook VP for Europe, the Middle East and Africa, Nicola Mendelsohn, Cambridge Wireless founder and former CEO, Soraya Jones, and Williams F1 Deputy Team Principal, Claire Williams. 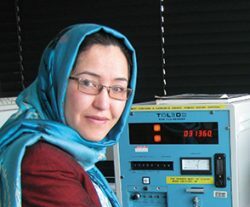 Following the death of her father from cancer, Shakardokht decided to pursue a PhD in medical physics at the University of Surrey with the hope of being able to help other sufferers. Upon completing her PhD, she quickly realised that she would need to commercialise her research to make this happen. TrueInvivo is developing a medical device for quality assurance of radiation treatment received by cancer patients. The product is a non-invasive implant that penetrates the patient’s skin through natural orifice and helps target radiation therapy and reduces the number of healthy cells destroyed during treatment. Becky has a background in science, arts and education. She holds a PhD in Chemistry from University of Bristol and her diverse skills span the digital economy, education, science, performance and marketing. 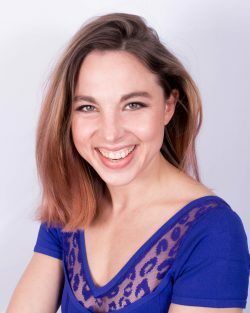 Becky leads Interactive Scientific, which was formed in 2013, with an ambition to create the next generation of engaging, interactive science teaching and research tools. She strongly believes that a step change is required in the way we, as a whole society, engage with global challenges, such as climate change mitigation, combatting antimicrobial resistance and supplying clean water access for all. Her vision was to create a new scientific ecosystem based around a software platform Nano Simbox (NSB) that is designed visually, socially and experientially to change the way people think about and interact with globally impacting scientific challenges. NSB is currently in development and a teaser app will be released at BETT 2017 in January, the full platform will be released to a limited number of schools in autumn 2017.